ARE LOW BUDGET CLIENTS WORTH IT? You may or may not have asked yourself this question but chances are the answer effects how you run your business and how you deal with your clients. As a freelance designer, I am never far from low budget clients because they can be the difference between success and failure, for my business. Unfortunately, in many cases a low budget client can be the first to go when a firm attains loftier positions. This can be a problem for both the designer and the client. For the designer, it is never a good idea to remove their foundation, despite the urge to abandon your less desirable clients. It would be much wiser to either put in the extra effort or find a competent designer who you can sub-contract to. 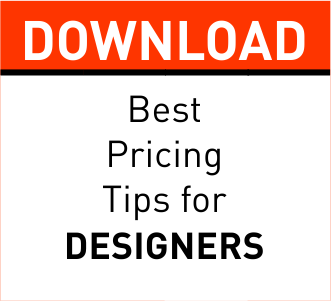 By maintaining your clients, you ensure that there will be a fallback plan for you in the case of any dry spells or complications; as well it serves to endorse designers as those who understand and practice proper design ethics with their clients. You must remember that word of mouth tends to work a lot faster when the 'mouth' has something bad to say. Worse yet, one designer's mistake can easily end up being all designers' mistakes, as far as the client is concerned and they will likely give the next person down the line a harder time. The secret to keeping clients with small projects and small wallets is not to provide less design but to be more thorough in the preliminary meetings. Don't be shy to ask what their budget is and when they expect the end product. Without any indication as to budget and time-line you're flying blind and this can cost you and the client money. The more specific you are, from the get go, the more efficient you will be and the more cost effective it will be to keep these clients. In the case that you absolutely have no time for your smaller clients, don't blow them off. Begin slowly by subcontracting your undesirable projects to a fellow designer, who could use the leg up, and then finalize the shift by introducing the client to the designer and inform the client that you highly recommend them to take over in your stead. The end result will leave the client feeling that you cared enough to find someone else for them and they may mention this to a potential client, who's wallet may be a bit bigger!